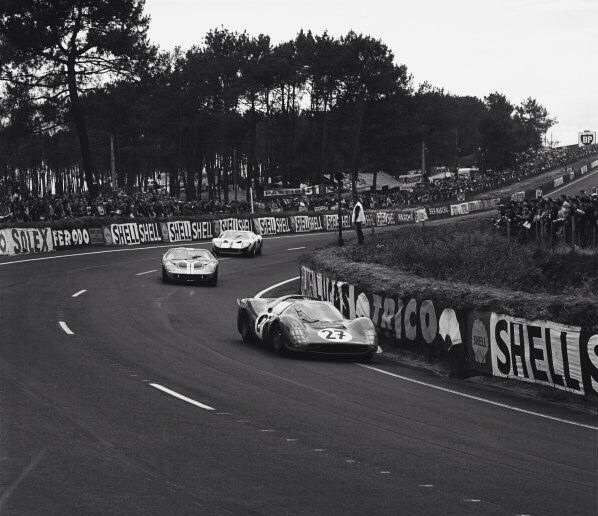 It’s Le Mans 1966, the 18/19 June weekend. 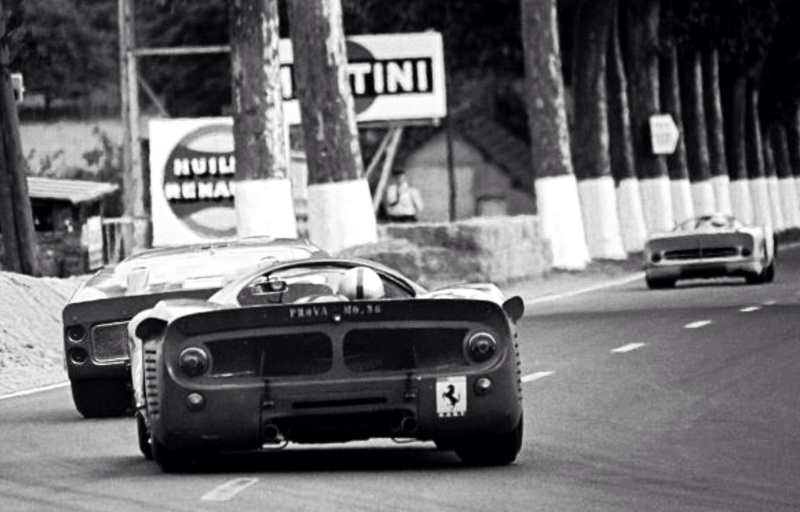 The Ecurie Francorchamps Ferrari 365P2 of Pierre Dumay and Jean Blaton starts the long run along the Mulsanne Straight ahead of a factory Ford Mk2 and Pedro Rodriguez in the NART Ferrari 365 P3 ‘0846’ he shared with Richie Ginther. I’m not sure which Ford it is but the two Ferrari’s failed to finish- the Francorchamp’s car with engine dramas and the NART machine with gearbox failure. ‘0846’ was the first of the Ferrari P3’s built and was the official press car. Built as a Spyder, the 4 litre, 420 bhp, 24 valve, Lucas injected V12 machine raced throughout 1966-at Sebring, Targa and Le Mans- all DNF’s. 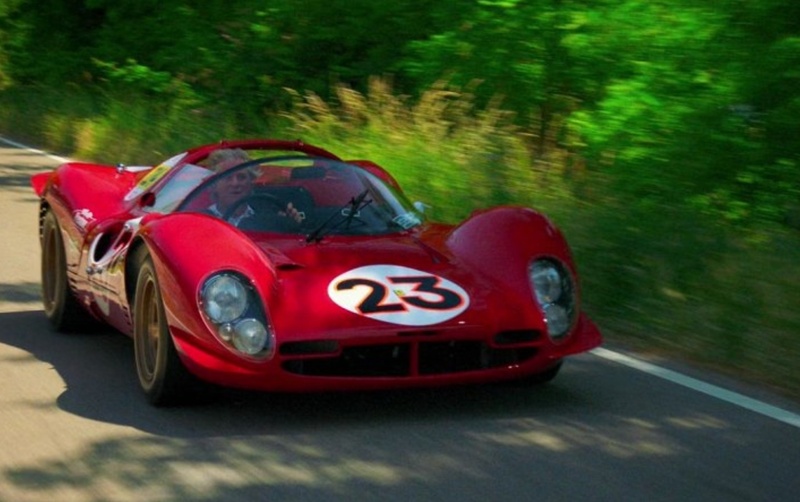 At the end of the year it was converted to P4 specifications for 1967- becoming one of four factory P4’s raced that season in the International Championship for Sports Prototypes and Sportscars. 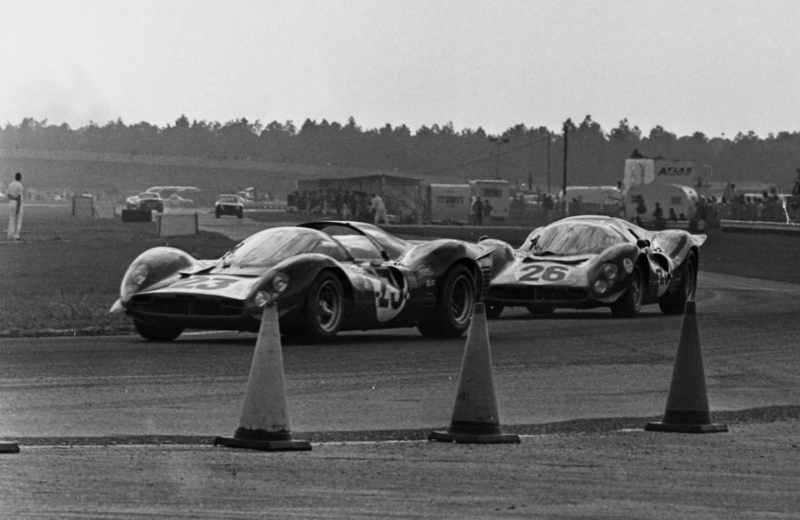 At the 1967 opening round- the Daytona 24 Hour, Chris Amon and Lorenzo Bandini shared the drive and won the race in it. Entered at Le Mans, Chris Amon and Nino Vaccarella qualified the car in twelfth position amongst a sea of Ford GT40’s and Mk2’s. On lap 106 Chris Amon encountered a puncture and tried to change a Firestone out on the circuit but the hammer he was wielding broke so he then sought to drive the stricken P4 back to the pits. During this trip the shredded tyre somehow ignited a fire and as a consequence the car was severely burned- and subsequently thought by most historians to be destroyed. 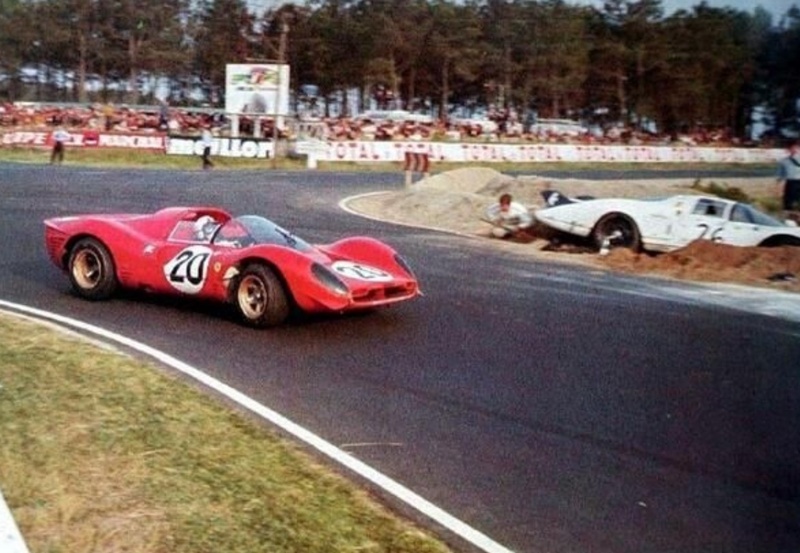 Amon lapping early in the ’67 Le Mans 24 Hour- the beached car is the NART entered Ferrari 365 P2 shared by Chuck Parsons and Ricardo Rodriguez which retired after completing 30 laps during the race’s fourth hour- Chuck is wielding the shovel. Incapable of economic repair, the P4 ‘0846’ chassis was discarded into the Ferrari scrapyard after inspection back at Maranello. In recent times it has been confirmed, by Mauro Forghieri, that the repaired remains of the ‘0846’ chassis form the basis of the James Glickenhaus’ owned P4. Somewhat contentious, and the subject of much discussion on various Ferrari internet forums about the place, and ‘The Nostalgia Forum’ for more than a decade, some of you will have seen the car in the US or Europe. I am submitting my expertise regarding your Ferrari P4. It is based on the documentation that’s been made available to date and, to avoid any misunderstanding, I am submitting it in both English and Italian, the binding version being the Italian one. 2. The P4 chassis was almost identical to the P3’s, which were therefore routinely modified to produce P4 chassis. 3. The chassis I examined bears signs of modifications which are different from what was done in Ferrari as current practice. My opinion is that they were done by some other outfit after the accident of Le Mans 1967. The car involved was a P4 built upon a P3 chassis bearing the SN#0846, SN which was carried over as practice and regulations mandated. 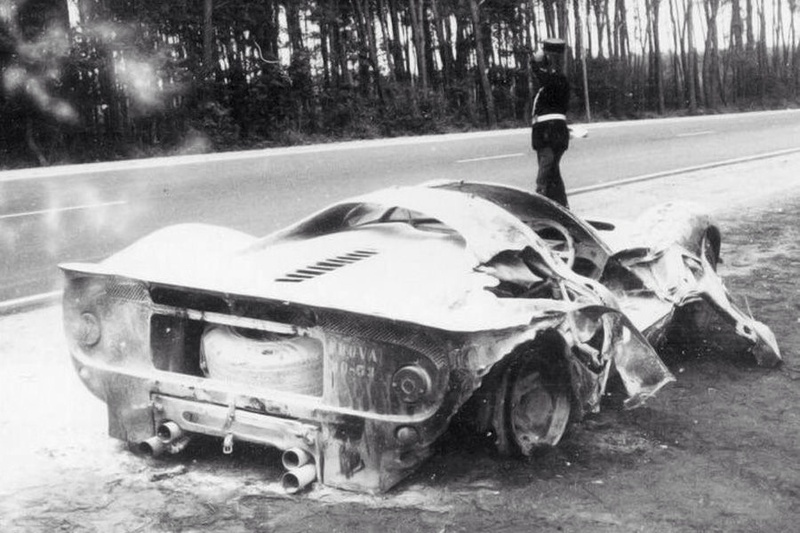 The car itself was seriously damaged in the 1967 accident and never repaired. The chassis, also damaged by fire, was returned to the Ferrari “scrapyard”. 4. It is my opinion that original parts of that chassis (as modified by some outfit; see above) are currently mounted on the P4 vehicle owned by you. 5. In spite of point 4 above, however, and as indicated in the factory statement that Ferrari sent you, it must be concluded that, for all legal purposes, SN #0846 has ceased to exist. Your car cannot be designated as “#0846”. 6. I can nonetheless state that your car, albeit containing non-standard modifications, is indeed a Ferrari P4. 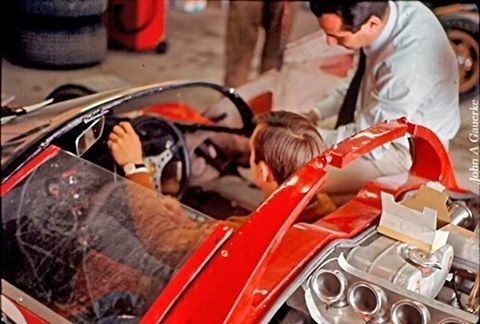 Chris Amon settles himself into ‘0846’ before the 1967 Le Mans classic in 1967. Injection trumpets clear as is the MoMo steering wheel, it looks pretty comfy in there. 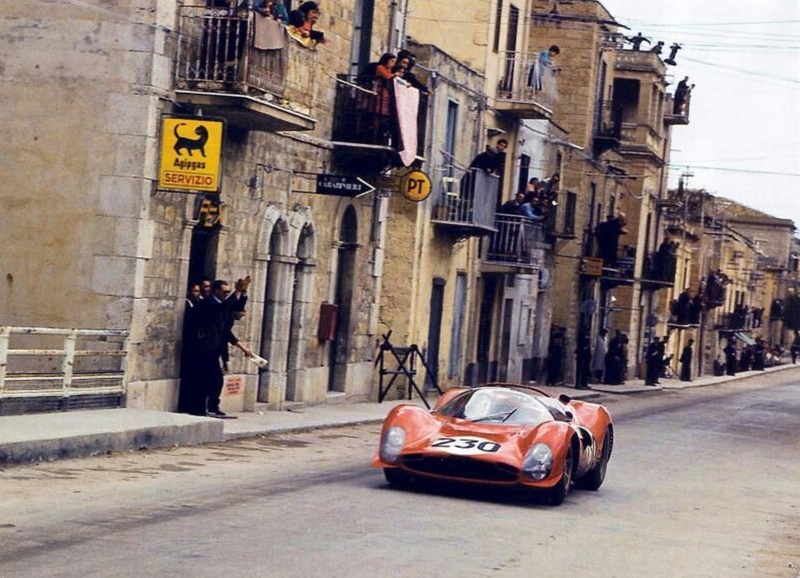 P3 ‘0846’ was shared by Nino Vaccarella and Lorenzo Bandini in Sicily during the May 1966 Targa Florio. The hometown team had completed 6 laps before Bandini crashed the car having misunderstood the intentions of the hand signals provided by the driver of a privateer Ferrari he was seeking to pass. The race was won by the Filipinetti/Works Willy Mairesse/Herbert Muller Porsche 906.